Albert Edward Barnes was born in 1899 in Stawell to Alfred Henry Barnes and Bessie Wild. Alfred was a builder and contractor residing in Stawell, however, during the war, he moved to Halls Gap sometime around 1916. 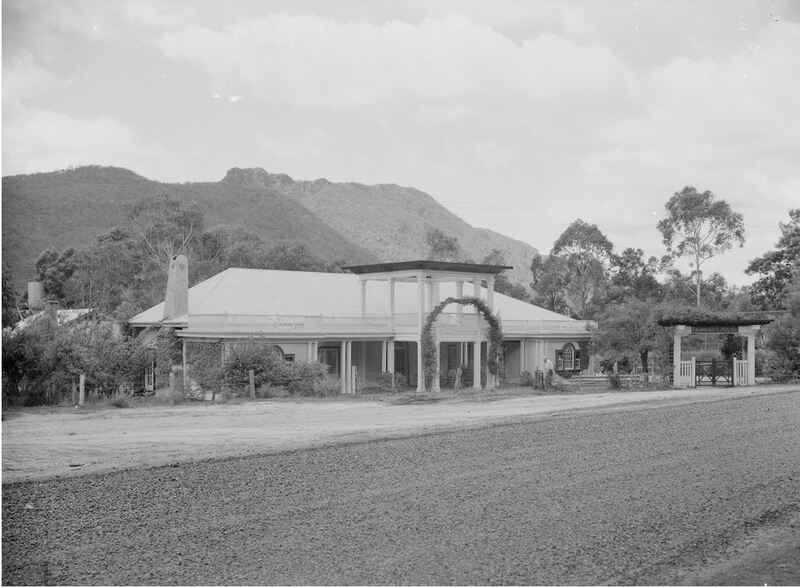 By 1917 he was President of the Halls Gap Progress Association and by 1918 Alfred had opened a General Store in Halls Gap. “Advertising.” Stawell News and Pleasant Creek Chronicle (Vic. : 1914 – 1918) 21 Dec 1918: 2. Web. <http://nla.gov.au/nla.news-article120966100&gt;. In that year he also began operating guest house Killarney, later renamed Grampians House. “Classified Advertising.” The Argus (Melbourne, Vic. : 1848 – 1957) 8 Jun 1918: 22. Web. <http://nla.gov.au/nla.news-article1664725&gt;. 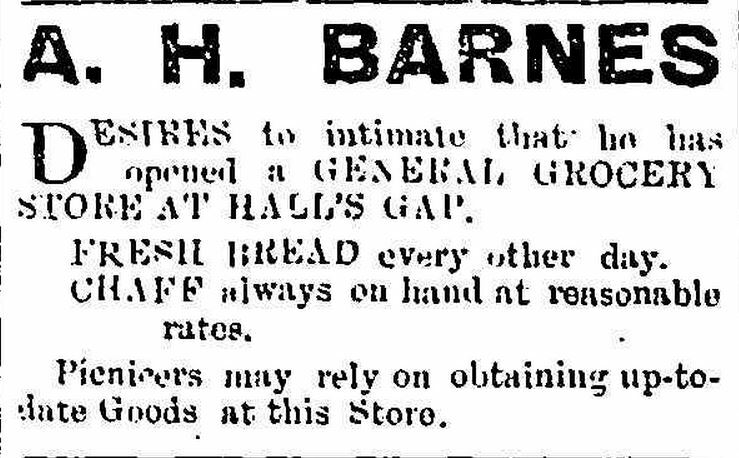 It was in the same year, 1918 that nineteen-year-old Albert Barnes travelled to Horsham to enlist. He then went on to training camp at Broadmeadows with the 6th General (Victorian) Reinforcements. On 18 May 1918, Albert left Broadmeadows and sailed via Sydney for France During his time in France he spent time with the 1st Training Battalion. Albert remained overseas after the armistice and on 12 March 1919, he was admitted to the Fulham Military Hospital, London with pleurisy. He returned to Australia on 6 May 1919. After the war, Albert married and moved to the Wangaratta area, working as a carpenter. Halls Gap & Grampians Historical Society Victoria’s wonderland: a Grampians history. The Society, Halls Gap, Vic, 2006.